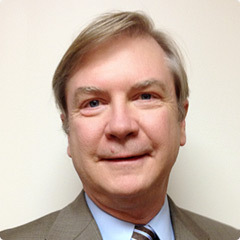 Dr. Woodruff has been in private practice from 1976 to the present. He provided inpatient treatment at Sinai Hospital for approximately six years. For a number of years he did corporate psychiatric consultation with a focus on employee assistance. As part of his psychiatric service to the community, Dr. Woodruff continues to serve part time as Staff Psychiatrist at Harford-Belair. I have a strong interest in psychopharmacology combined with an interest in the impact of hormones on behavior and well-being. I approach psychotherapy from both a traditional psychodynamic perspective, and from the perspective of healing as a journey in spiritual growth. My newest interest is in delineating and treating ADHD and Bipolar Disorder. Since 2005 I have had access to an experimental blood test under development, that in my experience, aids in the diagnosis of these two disorders. Additionally, I have found it useful in assaying an individual’s response to the medication specific for the treatment of ADHD and Bipolar Disorders. Dr. Woodruff obtained his A.B. in Chemistry from Dartmouth College graduating in 1969. He received his medical training at the University of Maryland graduating in 1973. He completed his psychiatric residency at the Institute of Psychiatry and Human Behavior of the University of Maryland School of Medicine in 1976.